I recently presented Fiserv’s mobile account opening innovation, targeted at millennials, showcasing our concept for complete account opening on a mobile device. This leverages the unique capabilities of mobile and delivers the type of experience expected by mobile users. 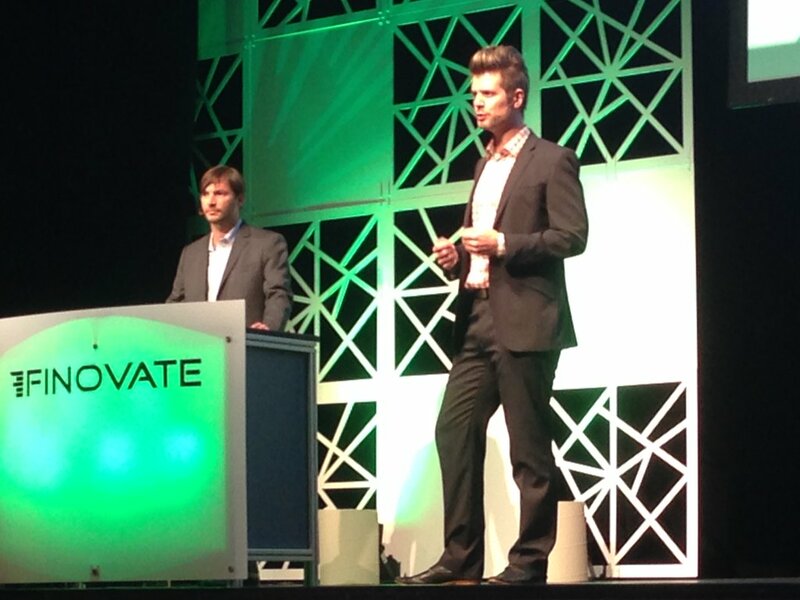 Here I present Fiserv’s Digital Account Opening mobile banking innovation at Finovate Spring 2016, with my amazing colleague and co-presenter Andrew Barnett (left). Fiserv Forum Spring 2016: that’s a wrap! Another successful Fiserv Forum presenting our digital account opening innovation. Thank you, Las Vegas! 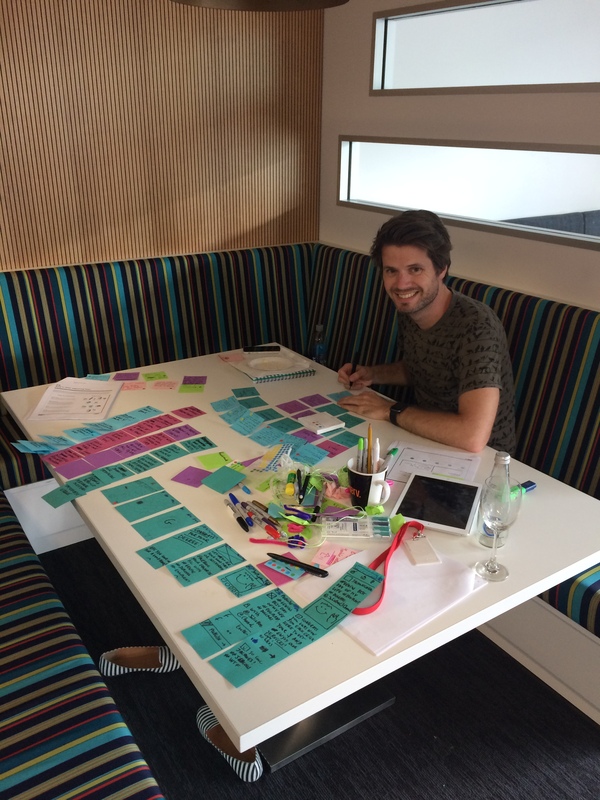 Prototyping is great UX technique to come up with innovative new products – including digital banking! So in my team we are using the free course on prototyping provided by IDEO and +Acumen to help structure how we prototype. Colour-coordinating your post it notes helps! In my team at Fiserv, we are always looking for the best ways to help people manage their finances. Our latest digital innovation allows you to withdraw cash from an ATM without a card. In this demo, we set up the withdrawal on the mobile, and use banking on wearables and location services with iBeacons/Bluetooth Low Energy to really make it easy. This new innovation delivers a rich and compelling banking experience that brings digital and offline together. 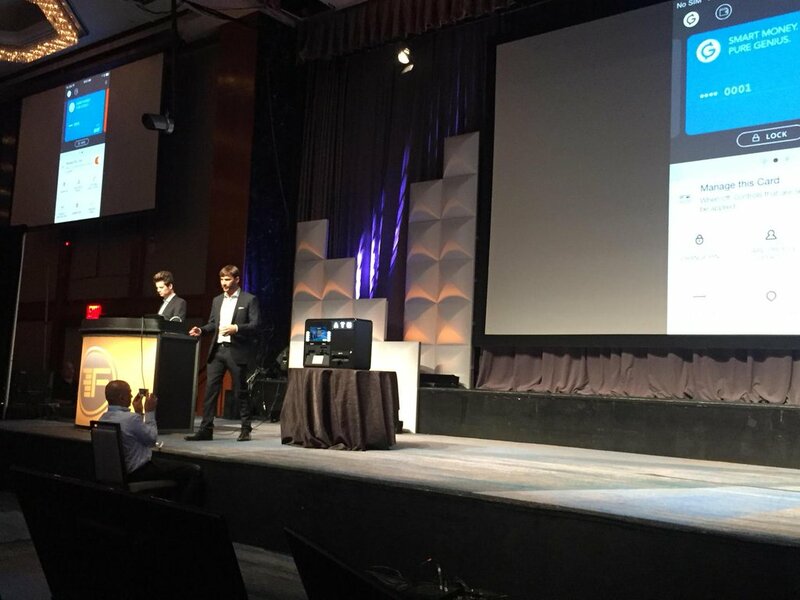 Although I don’t always get the chance to present at Finovate, I always have pride when our software is up on the big screen. Here, my colleagues Jon Atkinson and Martyn Lock present our latest digital banking innovation – the point of sale experience of the future. While the mobile payment battle rages on, there are a lot of things financial institutions can do before and after a payment to help ensure they’re top of mind and top of wallet. Ever tried to talk to your bank, and been given the cold shoulder? We thought so too. The latest digital banking innovation coming out of my team at Fiserv combines live chat, secure message, and click to call to show how we all really want to communicate with our financial institutions. I join my amazing colleagues Andrew Barnett and Mimi Joy on stage in New York for Finovate Fall. 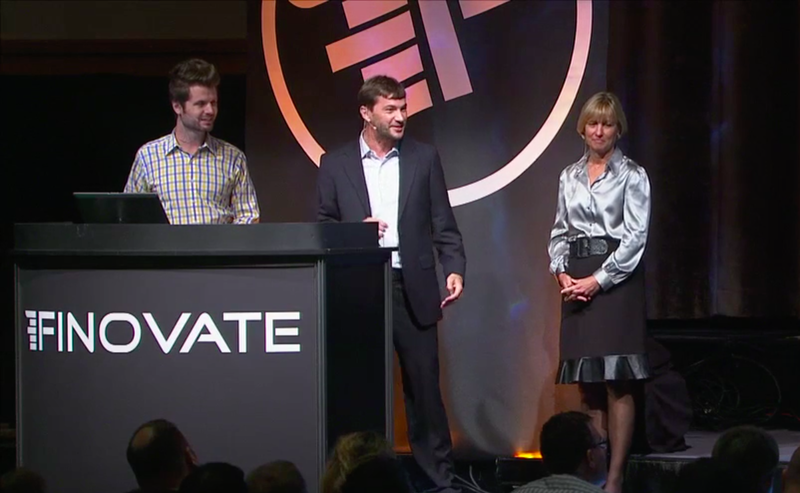 Me (left), Andrew Barnett (center), and Mimi Joy (right) as we co-present at Finovate Fall 2014. Very cool to check out the Googleplex! Subscribe to receive email notifications of new blog posts.